SCPD are investigating a vehicle crash that killed a pedestrian. Middle Island, NY - December 26, 2018 - Suffolk County Police Sixth Squad detectives are investigating a motor vehicle crash that killed a pedestrian in Middle Island on Monday, December 24. A 46-year-old woman was walking in the roadway on Rocky Point Road, approximately 600 feet north of Bailey Road, when she was struck by a southbound 2008 Kia sedan at approximately 10:20 p.m. The impact caused the woman to strike a 2005 Dodge sedan that was stopped in the center median. 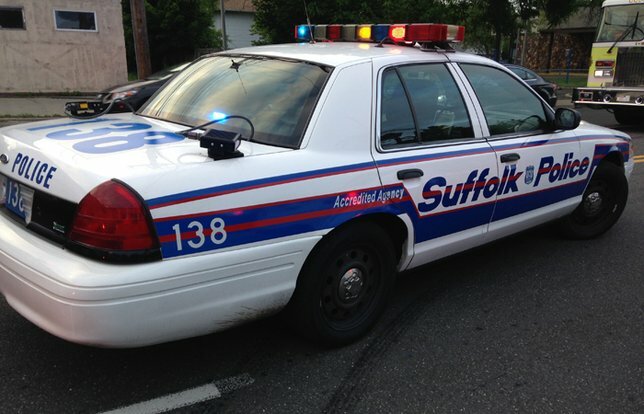 The woman, whose identity is being withheld pending notification of next of kin, was pronounced dead at the scene by a physician assistant from the Office of the Suffolk County Medical Examiner. The driver of the Kia, Morning Yancey, 20, of Port Jefferson Station, was issued a summons for driving with a suspended license. She was not injured. The driver of the Dodge, Liam Toman, 20, of Southold, was not injured. Both vehicles were impounded for safety checks. Detectives are asking anyone with information on this crash to call the Sixth Squad at 631-854-8652. Subject: LongIsland.com - Your Name sent you Article details of "Pedestrian Killed in Middle Island Motor Vehicle Crash, According to Authorities"